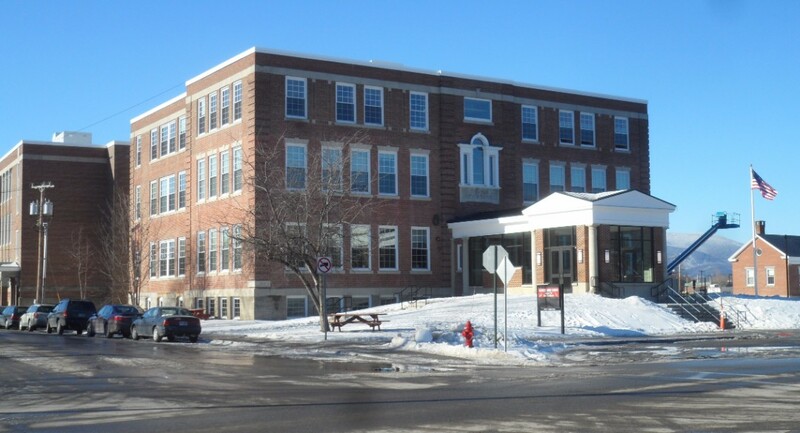 A major renovation of Stevens High School was long overdue. The 90-year-old building had many needs and finally, a Performance Contract with Johnson Controls Inc. gave them everything they needed in a property tax-neutral contract. Switching to biomass had also been a priority for years. 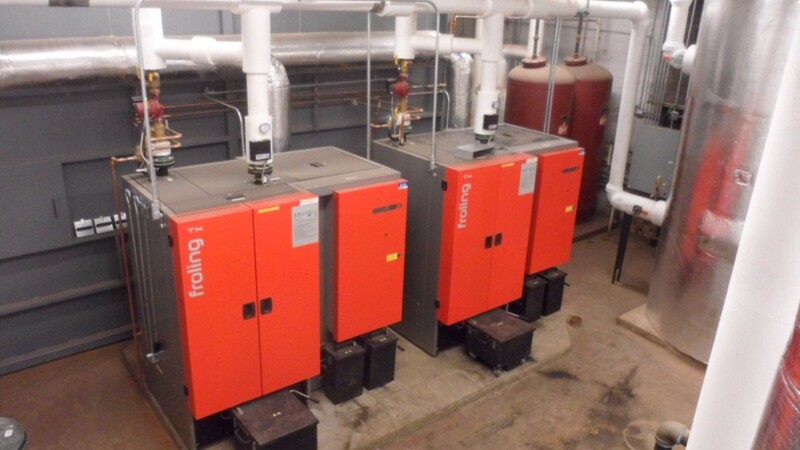 Their three over-sized, 50-year-old oil boilers needed to be replaced. One was dead, another was temperamental and the third did nearly all the work. Removing them from the old boiler room made space for two wood pellet boilers, a new LP boiler, a 2000 gallon buffer tank and 34-ton capacity dry wood chip/wood pellet silo. Now instead of burning 19,750 gallons of fuel oil each winter, they burn 211 tons of PDCs at a 50% average savings. 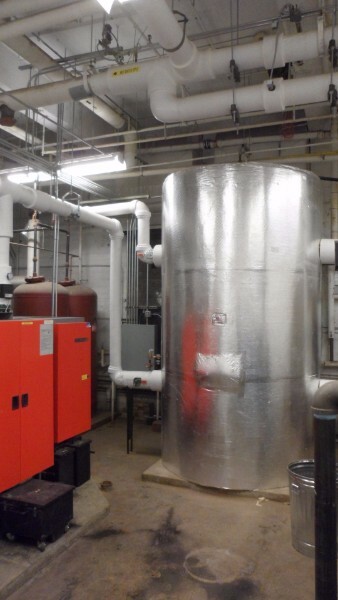 This boiler system generates approximately 400 NH T-RECs per year. 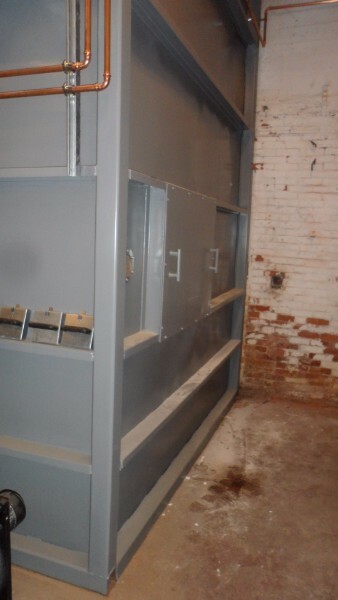 An dual sweeper arm silo was installed to store either wood pellets or dry wood chips for the boilers. Another view of the interior wood pellet/dry wood chip silo. This 1000 gallon buffer tank works with the biomass boilers. 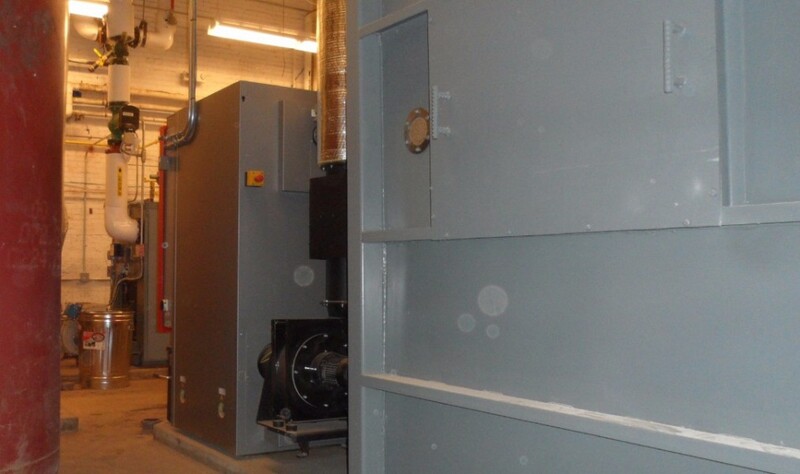 The newly remodeled Stevens High School is now heated with a biomass boiler system.